This new commission will enable audiences to encounter England’s forests anew through an immersive virtual reality experience, told by the inhabitants of the forest. This 360 degree experience is a speculative short story focusing on the life-cycle of three species. This will manifest in a mirrored sculptural installation suspending from a giant tree in the woodland. Creative collective Marshmallow Laser Feast (MLF) delight in exploring the line between virtual and real-world experiences. This project will invite audiences to a unique virtual reality setting created specifically for the Forest. 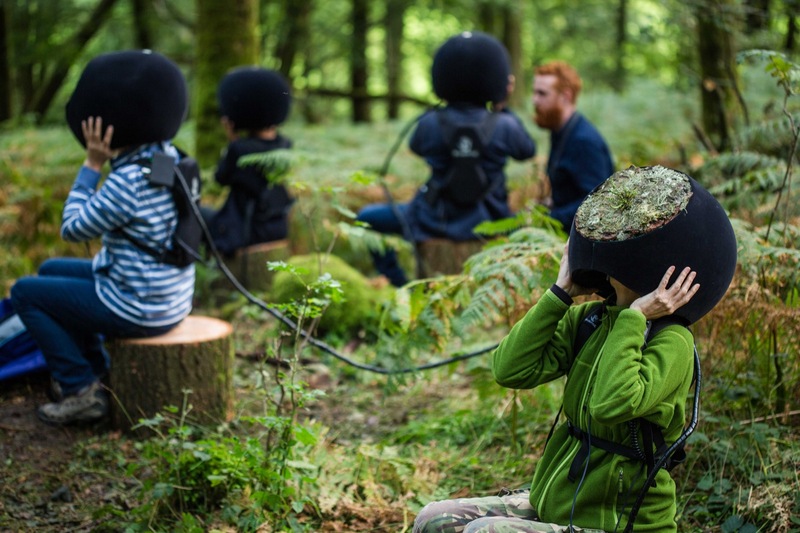 Filmed using unmanned aerial vehicles (UAVs) or ‘drones’ and bespoke 360º cameras, it is is set to a binaural soundtrack using audio recordings sourced from the surrounding woodland. Commissioned by Abandon Normal Devices and Forestry Commission England’s Forest Art Works. Produced by Abandon Normal Devices and Marshmallow Laser Feast. Supported using public funding by Arts Council England and Forestry Commission England.Equipment Support byNvidia and Sub Pac.